Several people asked for a pattern to make the soap socks I posted about on Sunday. I can't really give you a "pattern" since the size of the soap sock depends entirely on the size of the bar of soap you'd like to cover. But I can tell you generally how to make one. This yarn is nearly identical to Tahki Cotton Classic, so that would be a good subsitute. For needles, I used 4.25mm (U.S. #6) Clover bamboo double-points. 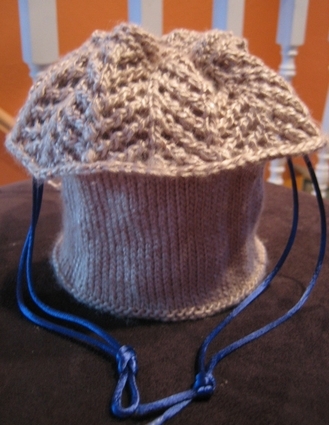 Loosely cast on an even number of stitches and divide them over 3 or 4 dpns. The number of stitches you cast on will, quite obviously, determine the finished size of the soap sock. I suggest starting with anywhere from 24-30 stitches, depending on the size of the bar of soap. 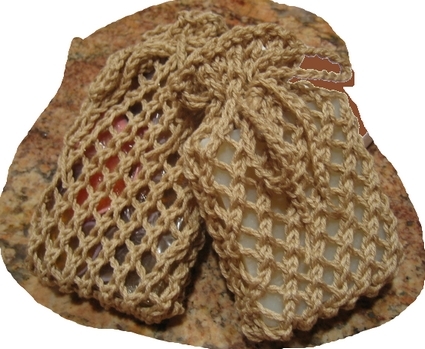 The finished soap sock should fit tightly over the soap so keep that in mind. 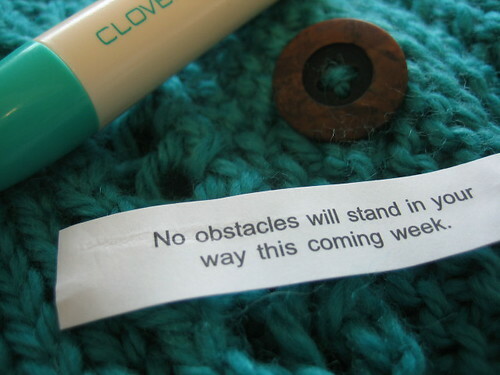 But make sure to use a stretchy cast on or you won't get the soap into the sock. I used a double-start cast on. Join into the round and don't even think about twisting those stitches. Rnd 2: *yo, k2tog; repeat from * to end of rnd. End by working Rnd 1 (the knit rnd). You want the sock long enough to accomodate the tie but not so long that there's a huge, unattractive blob of knitted fabric at the top. 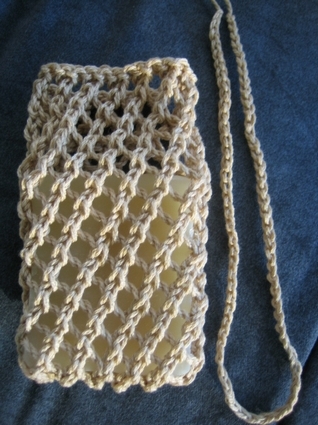 If necessary, err on the side of knitting it too short and just stretching it more when you put the soap inside. Divide the stitches evenly onto two dpns and Kitchener the bottom closed. Then make a crochet chain long enough to thread through the eyelets at the top. Insert the soap and add the tie. Any questions? Or maybe I shouldn't ask that. OK, so raise your hand if you spent the day after Thanksgiving at a Black Friday sale. Fortunately, I was at work instead of the mall on Friday. And there are no worries here because the bulk of my holiday shopping is finished. Yes, really. That left me some free time to work on my contribution to the prize kitty for the Knit Unto Others effort. Just think, if you spend your time the next two weeks knitting for others, you have a chance to win a gift all ready to give to a friend or neighbor and Laurie and I have done all the work for you! 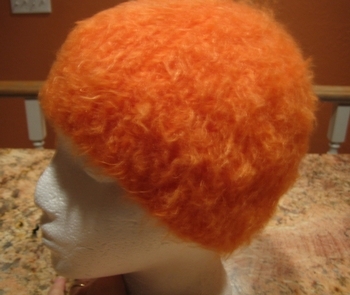 So head over to the Knit Unto Others blog and sign up. If you're looking for a worthy cause to knit for, the Red Scarf Project is one of my favorites. You can get more information by clicking on the photo above or by visiting the Orphan Foundation of America web site. And if you really don't have time to knit for others during this hectic month, consider giving up a week of overpriced coffee drinks and using the money you save to make a donation to Heifer International. Wendy has set up a registry again this year and she's offering some wonderful prizes. For every $10.00 you donate to Heifer, you get one "ticket" in Wendy's raffle.I've donated one of my knitting patterns and all the yarn necessary to make the project. That prize will be given away on December 5th. Wendy has donated a Canon Rebel Digital SLR camera. Now there's an incentive, huh! Some lovely, snow white roving that I bought on Saturday during a quick trip to Three Wishes with Margene. It's a mix of wool, silk, and Angelina. The photo's not great, but I think you can see the sparkle from the Angelina. This stuff has been fun to spin but I'm not sure when I'll get around to plying it. 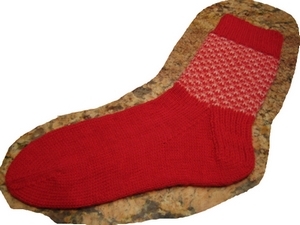 Another new sock design for Knit Picks. 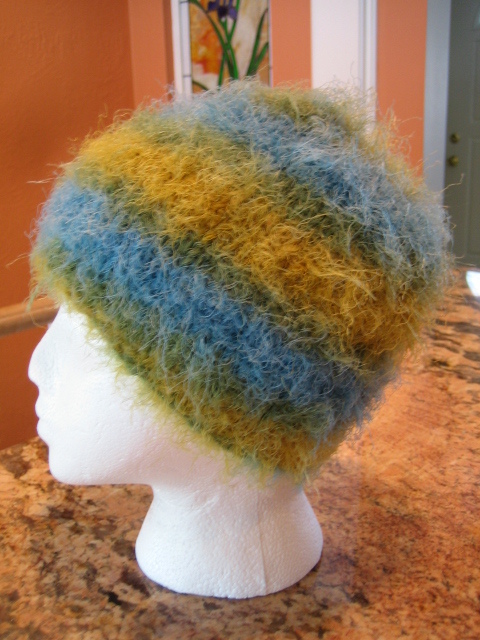 This one combines their Memories sock yarn with their Bare yarn which was formerly called "Dye Your Own." They sent me some Jacquard dye in the Chestnut color to dye the Bare and I was duly impressed with the dye. The color is incredibly even and the dye bath exhausted fully in less than 30 minutes. 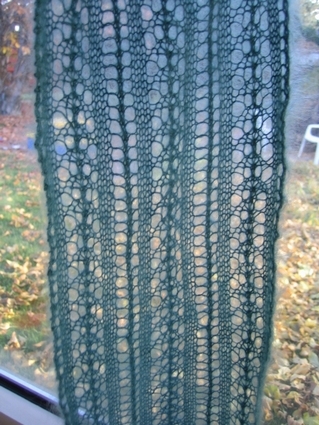 Another Forest Canopy Shoulder Shawl. 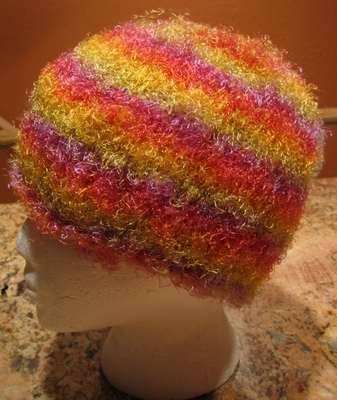 This one was knit from some ancient novelty yarn I had in my stash--Filatura Di Crosa Annabella. 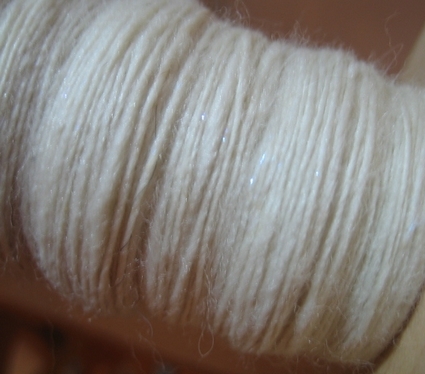 The yarn was a mix of rayon, cotton, and nylon. It was one of those ridiculously overpriced but lovely novelty yarns that calls out to be purchased but then never lends itself to an appropriate project. The whole shawl was knit from only two skeins, which is less than 250 yards. It measured 52 inches across the wingspan and 28 inches down the center back. I used a very large needle; a U.S. #10 (6mm). 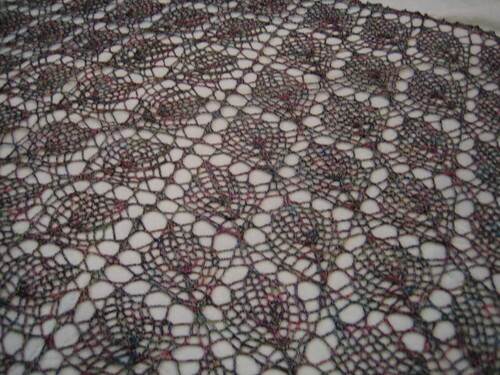 The inspiration came from Rachel's Forest Canopy shawl which she knit from just one skein of Twizzle. Yarn: Vintage Schoeller Esslinger "One Day"
Time to Knit: 20 years. Well, not really. But this is the first long-sleeve, adult-size sweater I've completed in about 20 years. Long time in the making, huh. 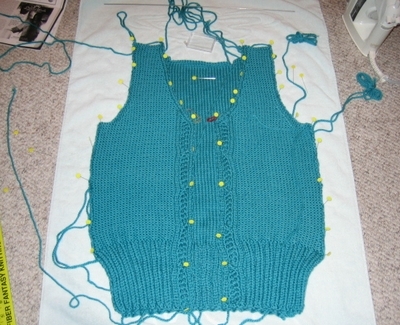 Now comes the least enjoyable part--blocking and seaming. I'm hoping it's in wearable condition when DD returns from a weekend softball tournament. 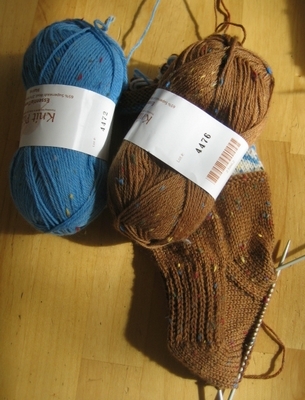 Lorraine sent me a photo of a pair of Lombard Street Socks she knit from Lorna's Laces Shepard sock yarn in the Argyle colorway. She adjusted the pattern a bit to make them wider. They're gorgeous, Lorraine. Thanks for sharing! Several people have asked about purchasing copies of the Forest Canopy Shoulder Shawl pattern by a method other than PayPal. 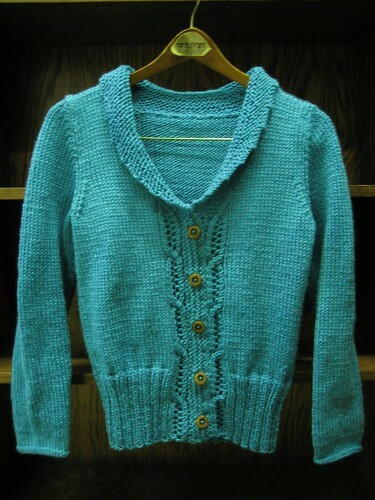 The pattern is now available from Mary Moran at The Knitting Zone. If you can't purchase the pattern directly from me because you don't have a PayPal account, Mary accepts all major credit cards and the pattern can be downloaded right after you pay. Despite my best intentions, knitting on the Sienna Cardigan is at a virtual standstill. I did manage to finish one sleeve and cast on for the second. But one sleeve in one week is not too impressive. 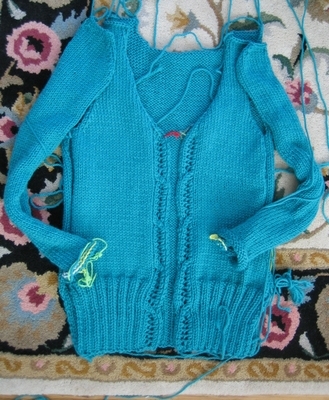 Under the section titled "Shape neck and armhole," Row 9 reads: "K2, k2tog, knit to last 4 sts, p1, k1, k2tog, p1, k1"
Accordingly, that sentence should read: "K2, k2tog, knit to last 4 sts, k2tog, p1, k1"
The decreases at the neck edge for the Right Front are created by working "K1, p1, k2tog." This results in a line of decreases at the neck edge that slants to the right as you look at the RS of the piece. To be a mirror image of the Left Front, however, the decreases for the Right Front neck edge should be worked as SSKs (not k2tog) so they slant to the left. The two sides are noticeably different and, IMHO, this difference significantly detracts from the look of the finished sweater. Interweave told me they did not believe this was a pattern error because the photographs clearly show that the sample was knit without mirrored decreases on the two fronts. Well, whether it's a design element or not, I think the sweater looks far more polished with mirrored decreases. If you agree, it's up to you to decide whether the decreases should both slant toward the button bands or away. I reknit the left front of my sweater so they slant away from the buttons bands. Deb is having a contest. All you need to do to enter, is take a photo of your November calendar page, post it on your blog, and then leave Deb a comment on this post with a link to your post. 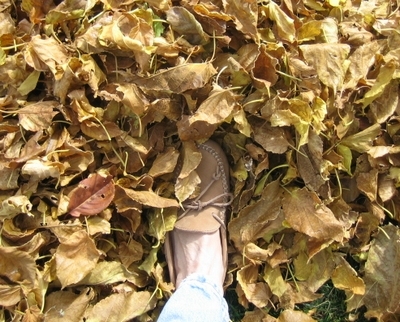 Here's a photo of the November page of my calendar. 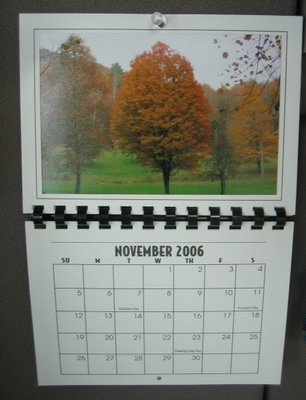 This calendar was gifted to me last year by Jane (who is an amazing photographer) and each month there is a new photograph chosen from among those she posted on her blog last year. This calendar has been an absolute joy to look at every day. How sad that it's almost December. 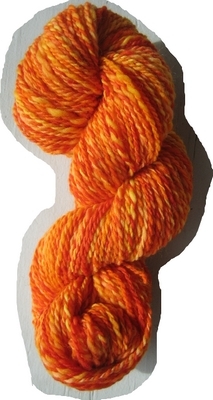 This is the last of the top that Margene dyed at the GBFAF last September. It's about 120 yards of sport weight. This may be destined for another pair of Fetching gloves. We'll see. 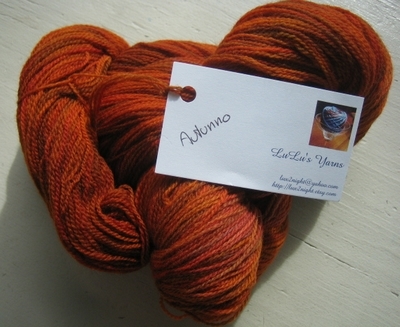 A skein of lace-weight merino, hand dyed by Lu and available at her Etsy shop. Yum! A new sock design. I know this sounds obnoxious, but I really like it. 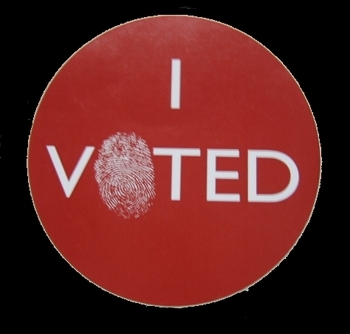 I voted last Thursday because the county clerk had new electronic machines set up last week for anyone who wanted to vote early. As promised, Donna Druchunas is here today, answering your questions about her latest book, Arctic Lace. Hi Susan, thanks for giving me the opportunity to answer questions for your readers! I have always wanted to know what the advantages are (besides the way the stuff feels), as qiviut is so expensive... also how is it to spin? These are two pretty simple questions, so feel free to spice them up. 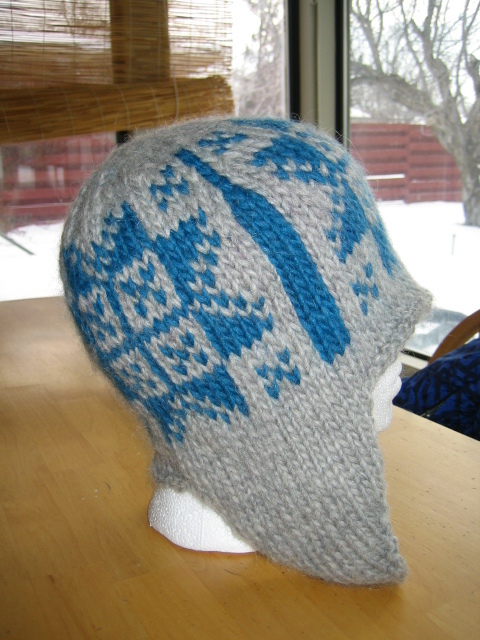 I would like to ask Donna how she got interested in knitting with qiviut and interested in Arctic culture and patterns. I read a couple of articles about the Ooomingmak Musk Ox Producers' Co-operative in Piecework (Jan/Feb 1996) and Inuit Art Quarterly (Spring 1996) magazines. As often happens with knitters, I became obsessed with learning more about the women in the co-op and about the qiviut fiber that they knit with. I started reading more and more on the subject, and finally decided I had better write about it or I had no excuse for doing more research. At first, I did not want to write this book. For two main reasons: 1) I am white and 2) I do not live in Alaska. I have seen so many bad reviews of books that white authors have written about Native Americans and that Outsiders have written about Alaska, that I was very nervous about writing the book. I had the privilege of meeting mystery writer Margaret Coel at a writing class, and she told me I should be very careful in my research but that I should not be afraid to write about people who were different than me. Margaret is the author of a very popular mystery series with Navajo characters. So I took her advice, and decided I would write this book. 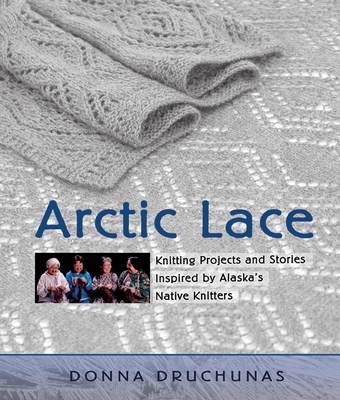 So far, it has been very well received in Alaska by both the knitting and Native Alaskan communities. In May my husband and I took a cruise to Alaska, and I bought 2 skeins of qiviut in a great yarn shop in Ketchican. I haven't knitted it up yet. I'm a little bit afraid to. I would like to make 2 scarves with it, and I'm not sure what pattern(s) would be best. Maybe Donna could suggest what type of lace patterns would be best for qiviut scarves. I would also like to know about general care of qiviut articles. This will be the most expensive, luxurious yarn I have ever bought, and I don't want to screw it up. 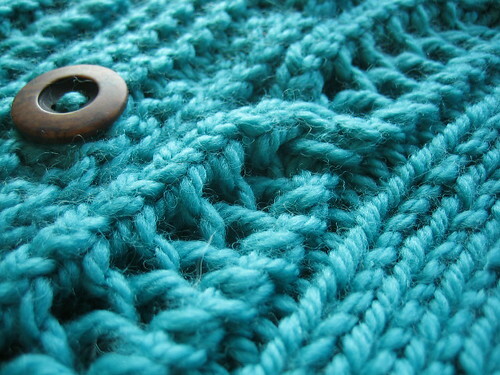 My first suggestion is that you swatch first using a heavier yarn and larger needles. I use worsted weight on size 7s or sport weight on size 5s when I am trying to learn a new lace pattern. 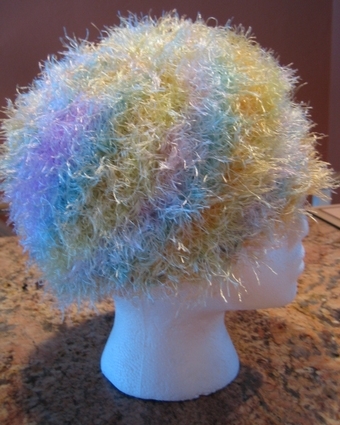 That will give you experience and confidence before you switch to your expensive yarn. You will also make mistakes on your swatch instead of on your scarf. If you've never knitted with laceweight yarn before, you can also make one scarf first in a less expensive lace weight yarn. 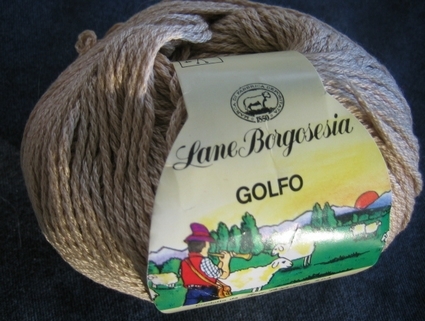 There are many mid to low priced laceweight yarns available today. 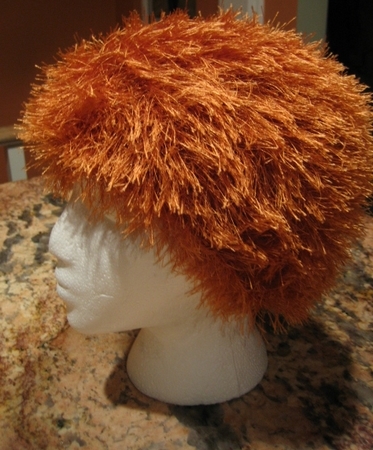 I suggest you take your qiviut to the store with you and look for something that has about the same girth. That way your practice scarf will be very close to your qiviut scarf in gauge and the knitting experience will be similar. A good size outdoor scarf takes 300-400 yards of yarn. A thinner or shorter indoor scarf can be made with 200-250 yards. If you know how many yards you have, that's one thing. If not, I suggest choosing a lace pattern with a small repeat so you can knit until you are almost out of yarn and then bind off. If you are working with a pattern that has a very large repeat, you may get 2/3 or 3/4 through a repeat and decide that you don't have enough yarn to finish. That would be frustrating! In general, I like lace patterns with stockinette stitch backgrounds for qiviut. I also like patterns that have some large solid areas. When you wash and block the qiviut, it blooms and the solid areas fill in with a fluffy halo while the yarn overs open up, making the pattern show up much more than it does while you are knitting. The drape of blocked qiviut is very similar to suri merino, but there's nothing that compares to the bloom. I did make one project with a garter stitch background in Arctic Lace because I wanted to knit a flat piece and twist it into a moebius, so I needed to have a reversible fabric. Overall, however, the types of lace patterns I designed, and the patterns of the Oomingmak Co-op, show up better on a stockinette stitch background. I'd be interested in knowing what prompted Donna to undertake the Arctic Lace project -- does she have and roots or connection to Arctic knitting? No, I have no roots or connection to Alaska. As I mentioned above, I just became obsessed with the subject. I wanted to learn more, and I had to read 100 different books and travel to Alaska to satisfy my own curiosity. So, basically, I wrote the book I wanted to read. Now that I've been to Alaska twice, however, I feel that I do have roots there. Everyone has been so welcoming and friendly! I hope I can continue to go back every year or so to explore more. Alaska, perhaps because of the cold climate, has a huge fiber arts community and you can discover knitting and textiles everywhere you go. 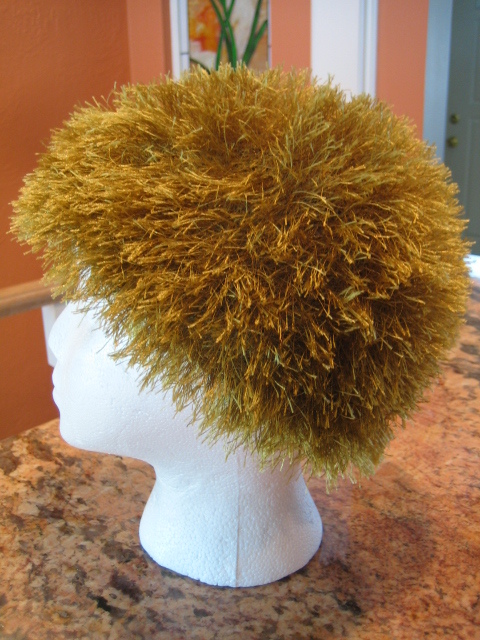 When I was at a gas station en route from Anchorage to Fairbanks, I even found a really beautiful and incredibly warm headband knitted out of a blend of wool and dog hair. I found a collection of WHAT BY WHOM in a gift shop at the Hotel Captain Cook. I found Orenburg shawls and Peruvian knitted bolsas (purses) and dolls at a tourist shop on a side street in Anchorage. Alaska, by the way, is the only state to have an official Yarn Council. Started this year, it was the organization that put together the Yarn Expo event I attended in October. You can read more about that on my travel blog and in this article on Knitter's Review. I L-O-V-E the lace in this book and hope that the patterns become as popular/well-known as Nancy Bush's Estonian lace, Starmore's Aran/Celtic patterns or Galina's Orenberg shawls. Recording the patterns and their history for future generations of knitters is so important because so much gets lost in the mists of time. Knitting designs appear to evolve within different groups into a "language" that can be easily identified to the part of the world from which it came. Thank you. Yes, it is so interesting to see how the same few stitches can be used to create lace patterns with such different personalities. Once you read about lace patterns from different countries and examine some swatches or photos, you can identify where lace patterns were born. Because I cannot afford to knit qiviut for family or friends due to its price, I would really like to hear what Donna would suggest for yarn substitutes. Also, does she have any other tips/suggestions that she has learned from the knitters that is not common knowledge in the knitting community? Will she be offering workshops around the country? What did she gain on a spiritual/emotional level from this experience? How has her connection to these people and their traditions affected her life? Will she be doing another book...Arctic Lace part 2? Right now I have no plans to do an Arctic Lace 2. I may do another lace book and I am also going to be doing some research into Lithuanian knitting next year. 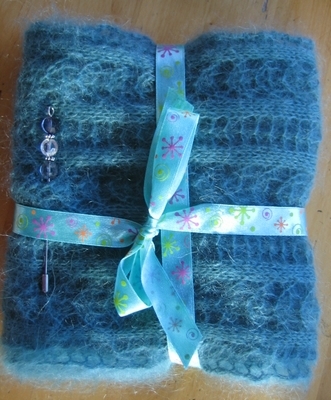 I am waiting to receive a package of hand knitted items and photos from Lithuania, and in July, I will be going there for a few weeks for a visit and research. I am Lithuanian so I hope there's enough interesting knitting going on there to write a book about that! I will be teaching at the Mile High Lace Knitting Conference in Denver next April, and I have been doing some teaching around the country. I'm not a full-time teacher, however. I work full time as a writer and editor, so I can't spend too much time on the road (plus I hate to travel). That said, if there's an event or a shop near you where you'd like to see me teach, let me know and I'll see if I can work it into my schedule next year. Can the Co-op fix natchaqs? I've got a snag & cut in mine. Mine is a star pattern that I got in 2001 -- no longer on the website. "Yes, we do repair. It is very time consuming work, and we can only quote a charge after we see the item. The Star Nachaq still exists, but we do not receive enough of them to be able to reliably offer them on the website. So if the person would send us the nachaq in need of repair to Oomingmak, 604 H Street, Anchorage, AK 99501, making sure she includes a name, address and phone number and email address, we will get back to her with an estimate of the cost of repair. The repairs are done in between other duties, and done in the order they are received, so it is hard to estimate how long it would be before the item would be fixed and returned once we are given the ok to go ahead and repair." The women who work in the shop are also expert knitters. 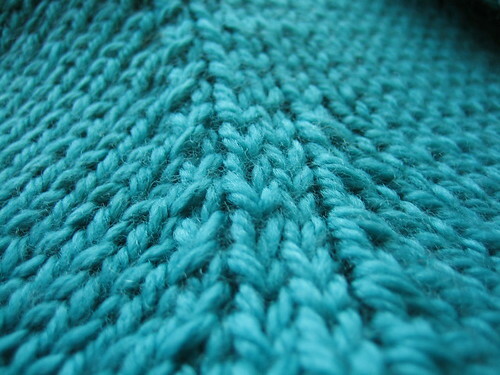 Once in a while an item knit by a co-op member comes in with an error or a dropped stitch, and they fix it before blocking the item. Since they are very familiar with all of the lace patterns, this makes repair easier than working on a new, unfamiliar pattern. Looking forward to the blog tour visit! I notice that everything I've seen from the book is knit from Qiviut or a blend, this is a silly question, I'm sure, but why is that? Do they typically use mostly this particular fibre? Is is substitutable with other fibres? If these questions are too completely novice to tolerate, just ignore me! Hi Charity, these are good questions. The reason I used qiviut is that the Oomingmak Co-op uses qiviut for all of their products. The original idea for a cottage industry to help Native Alaskan women make money came from John Teal, a Vermonter who wanted to domesticate the musk ox and to find a way to use their fur for commercial textile production. 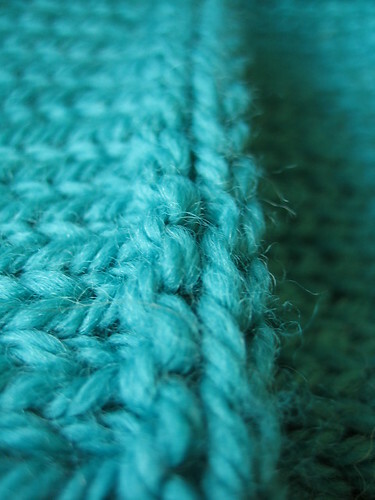 During the early days of experimentation, several women worked with Teal to decide what kind of yarn to use and what types of products to create. 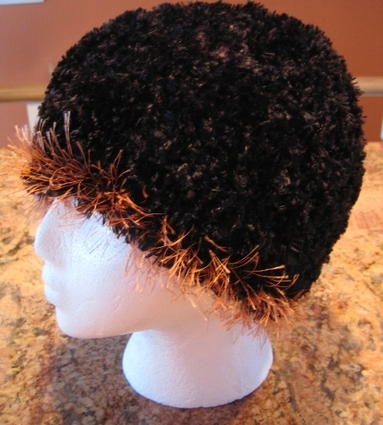 The plan was always to use musk ox wool, because the musk ox are native to Alaska and they wanted to have a uniquely Alaskan product. They tried weaving first, but decided that looms were too expensive and heavy to provide to the Native Alaskan women who would be creating the products in remote areas accessible only by plane, dogsled, or boat. 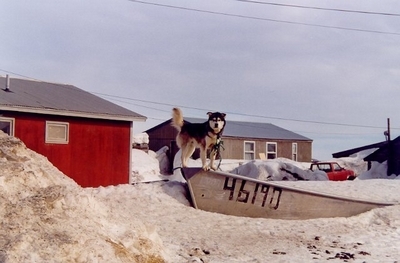 In addition, many of the the Yup'ik and Inupiat people still live a semi-nomadic lifestyle. That is, they travel to different places at different times of year to fish, hunt, and pick berries. Although they now live in modern houses in their villages during the winter months, seasonal travel to fish camp and other places to gather food is still very important. 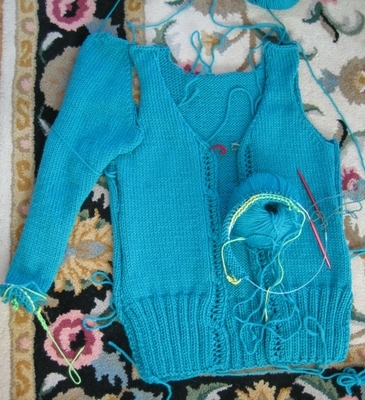 Knitting is one of the few fiber arts that uses tools and supplies that are completely portable. I have a single skein of qiviut to knit into a scarf and I'm looking for a really, really simple lace pattern to knit with it. I absolutely love the qiviut and would also like to know where to purchase more. I have one beginner scarf pattern in Arctic Lace: the Fish Trap Scarf on page 125, that has a simple diagonal line design. I also have a very, very easy neck gaiter on page 152. 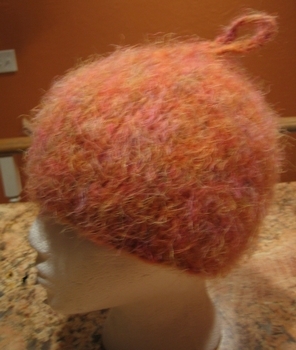 It is knitted in the round in a ribbing pattern. Either of these are great for first-time lace knitters. You can also make a scarf using any easy lace pattern. 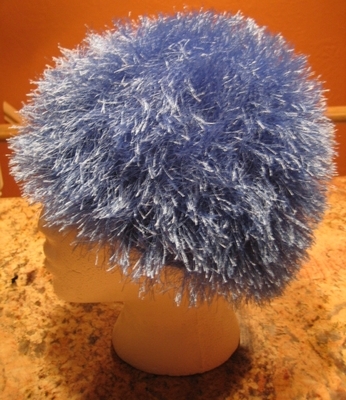 One popular and classic design is called "Feather and Fan". This pattern has several variations, so make sure you look for the design where the yarn overs and decreases are on the same row. The other versions, where you make yarn overs on one row, and make decreases on later rows, is more confusing for a new lace knitter. I also have some very easy lace ribbing and eyelet stitches in Arctic Lace on pages 160 to 163. Any of these could be made into a scarf using the recipe on page 172. If you have other stitch libraries, look for lace patterns that have plain wrong-side rows, and have small repeats. 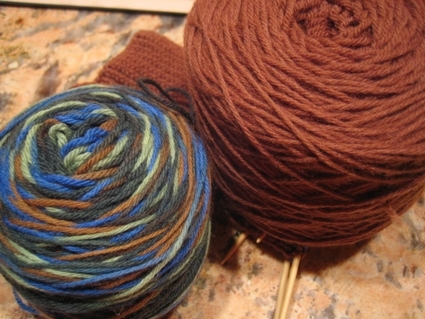 Practice first on heavier wool yarn with larger needles. After you learn the stitch, then make a swatch with the lace yarn to get used to working with the fine yarn and smaller needles. I don't have a specific question, but I would like to learn more about the women who belong to the Co-op. A large portion of the book is about the women who belong to (and own) the Co-op. They are Yup'ik and Inupiat Eskimo women. Most of them live in rural villages around the state, but a few have moved into Anchorage or other cities. Although they are all Native Alaskan women, their experiences are all unique. Some grew up in traditional sod houses and ate only Native food gathered from the land. Others grew up in modern homes and never even saw traditional igloos (the word means "house" in Inupiat and does not refer to an ice igloo) until they went to school. Some of the women have college degrees and have worked as teachers or in other professions at times during their lives. 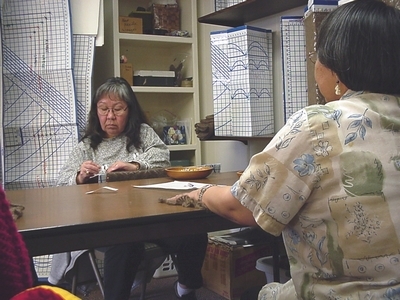 "Most of the knitters in the co-op are from the Yukon-Kuskokwim delta area. Knitting comes naturally to the women of this region because they have experience as artisans that is centuries old. Even before the arrival of the Russians in Alaska, Yup’ik and Inupiat women were highly skilled seamstresses and artists. They used their talents to sew fur clothing to protect their families from the elements in the winter, and to weave baskets and socks from grasses that grew in the region. Today,the women of the Yukon-Kuskokwim Delta are known as the finest basket weavers in Alaska. "Knitters join the co-op for many different reasons. High-school and college students may need spare change to blow on weekends with their friends. Wives and mothers may want to supplement their household income or purchase specific items, such as fishing boats or new stoves. 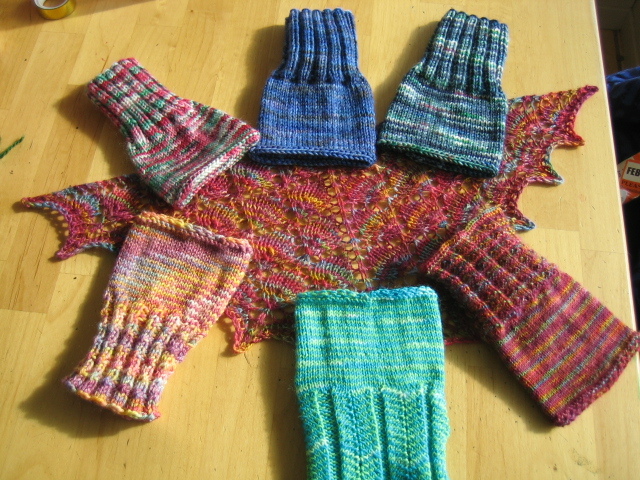 For many of the women, knitting is a goal-oriented project. They need enough money for a boat, and knit until they have enough to make the purchase. Then they take a break from knitting as they focus on other areas of their lives." In addition, the Yukon-Kuskokwim delta is an area with very few jobs, which is why there are so many knitters there. 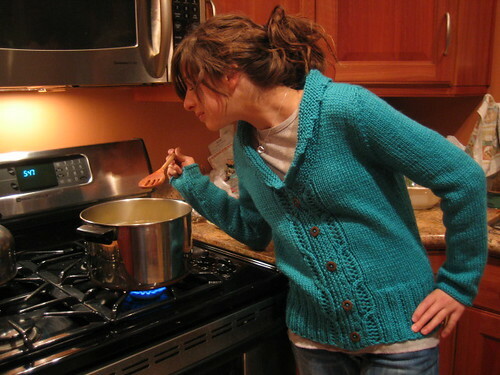 When other jobs areavailable, most women will take the higher paying work instead of knitting. I'd like to thank Donna profusely for taking the time to answer every question that was posed to her and for sharing this wonderful information through her book. Ever have one of those days that starts out crappy and gets progressively worse? I was on track to have a day just like that until I arrived home and found a large box sitting on my porch. Turns out, it was from Stephanie, who revealed herself in the enclosed note as my pal in the International Scarf Exchange. 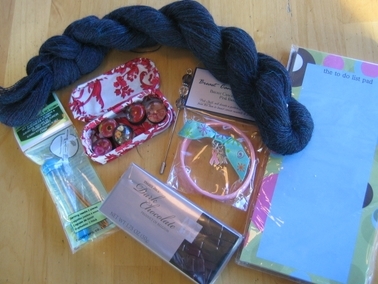 And if the fantastic scarf wasn't enough, the box was packed full of goodies. 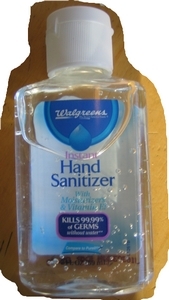 Okay, Stephanie, you said you trolled my blog to learn more about me but I don't ever remember mentioning the little germaphobia non-problem. Who tipped you off??? Thanks so much for a beyond-wonderful package.